But hockey on the field is not your only link ..
You also choose to do some hockey charity work, how does that combine with your other activities? For you personally, an amazing career has been affected by your injuries, many people have said at different times ‘that is it’ for Santi, how do you get through those times? Finally, the Hall of Fame, what did it mean to you and what will it mean to the new Inductees. 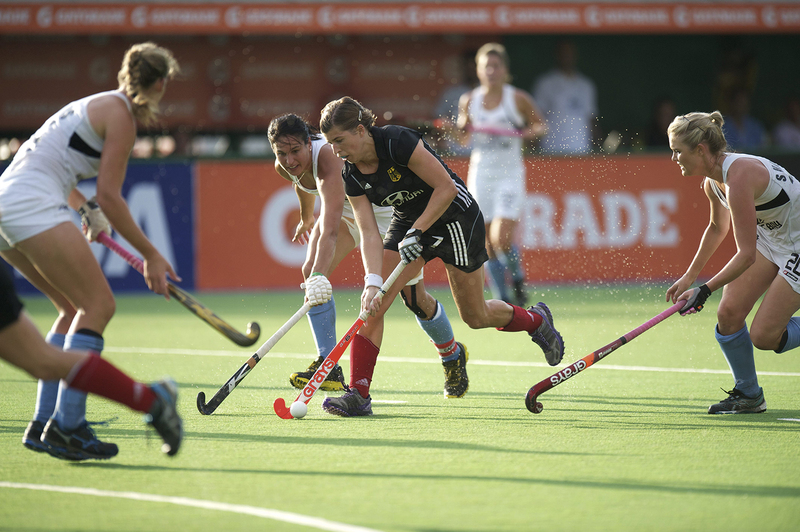 Photograph: Santi is challenged by the Stick for India girls! PreviousScottish and Spainish play-offs will be live streamed this weekend!